I learned how to make ginger beer for my family a couple of weeks ago and so far we can’t get enough of the drink. It is pretty easy to make so I have been experimenting with a few different techniques. 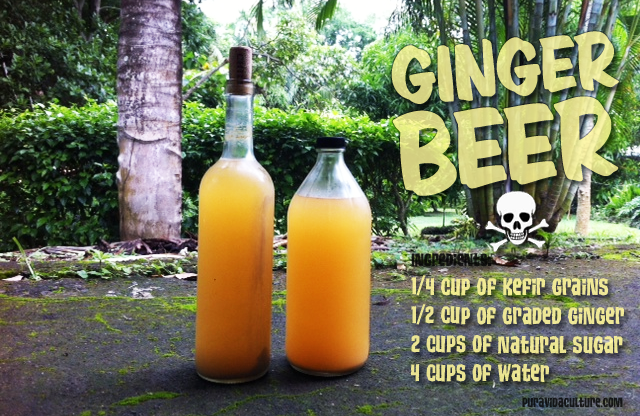 Ginger Beer is good for digestive problems and is also a great Anti-Inflammatory. A friend of mine got turned on to making Ginger Beer and every time I saw him he raved about how much he liked it. He ended up giving me some of the grains that he was producing so that I could start my first batch. I really enjoy the flavor but I also use it to assist my digestive system and it really tends to help. Now if you look online every body is an expert and everybody has their own recipe for how to make the best Ginger Beer out there. This recipe that I am about to give you is not a contender for one of those recipes. This recipe is as basic as it gets and only requires four ingredients. I would call is the back-bone to the other Ginger Beer recipes, the template of how to start making a great drink. Some people go as far as to add add garlic, citrus, hot peppers and just about anything that you can think of to refine the flavor. Let sit in mild/cool dark area for 48 hours. Strain out water kefir grains and restart First Batch. Mix 2 cups water and 1 cup sugar with liquid from jars. Poor into bottles and seal. Put in refrigerator and enjoy in 12 hours. Now how long you let the batches ferment will dictate how much carbonation and alcohol you produce. The grains are essentially breaking down the sugar, releasing carbon dioxide which creates the carbonation. 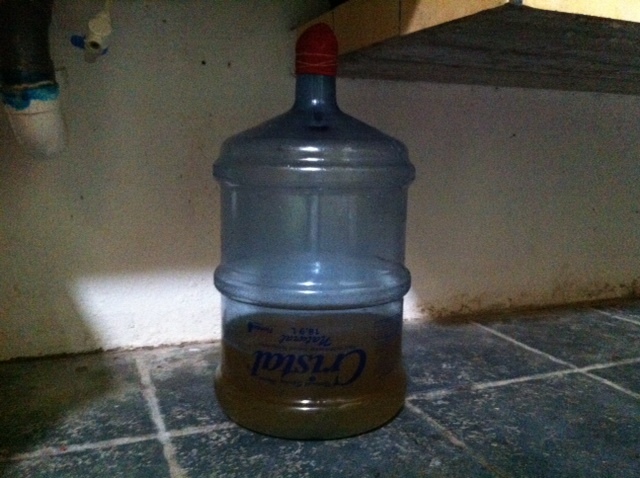 The fermented sugar then turns into alcohol. Although it does make for one refreshing drink, the recipe provided above does not allow any time for much carbonation to produce. I started pouring the first batch into a 5 gallon bidone and adding 8 cups of water and three cups of sugar. I let it sit at room temperature either letting the container breath every six hours to release pressure or by putting a balloon on as a lid to control the pressure. If I feed it more sugar every couple of days for about two weeks it will produce a nice carbonated alcoholic beverage. 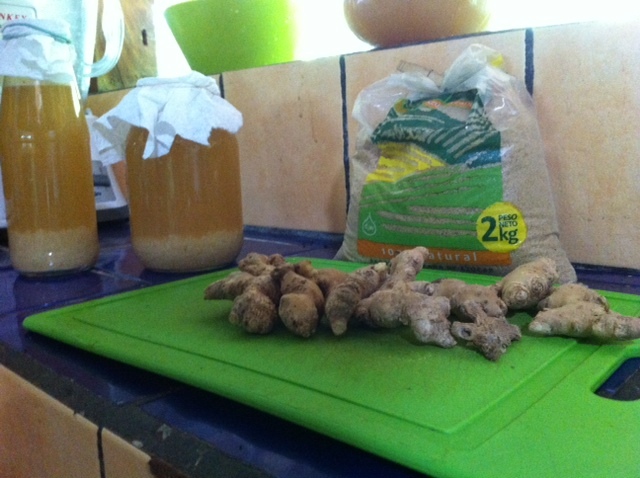 Have you ever made Ginger Beer? or do you have a special recipe or technique that you use? If so please share below in the comments area.